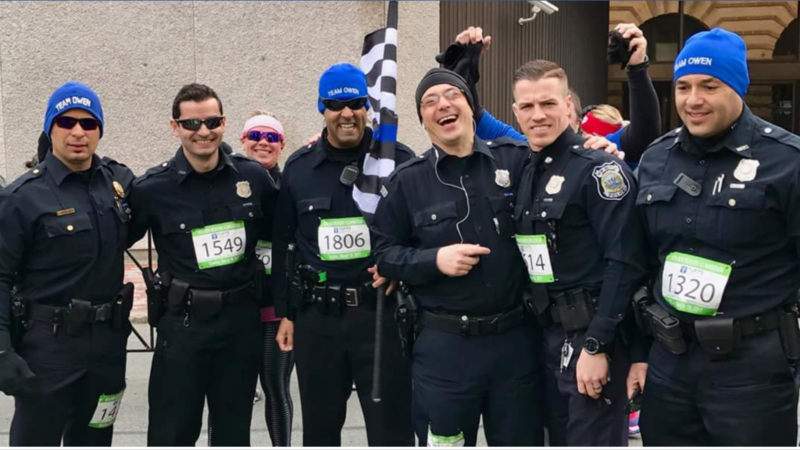 They may not have crossed the finish line in first place, but we are so proud of the six New Bedford police team members who ran Sunday in the half marathon. They ran to pay tribute to the 135 officers who had made the ultimate sacrifice in 2016 and to raise money to assist the families of the fallen officers. Team members ran in full gear and some wore Team Owen beanie hats as well to pay tribute to Owen Simmons. Team members do not want any of the officers or their families left behind to be forgotten. The proceeds raised were sent directly to the National Law Enforcement Officers Memorial Fund down in Washington D.C. They also teamed up with the New Bedford Unity tour riders to raise money for the same goal. Officer Kyle Cabral; Officer Nathan Pimental and Officer George Lozado. Great job everyone!